Get ready to rumble in the jungles of the lost lands like never before with this Turok. This HD remaster is essentially the same game from 1997 that we know and love except improved with enhanced mechanics, settings, graphics, and performance especially. They took all of the stuff in Turok that wasn’t so great and made it gold. 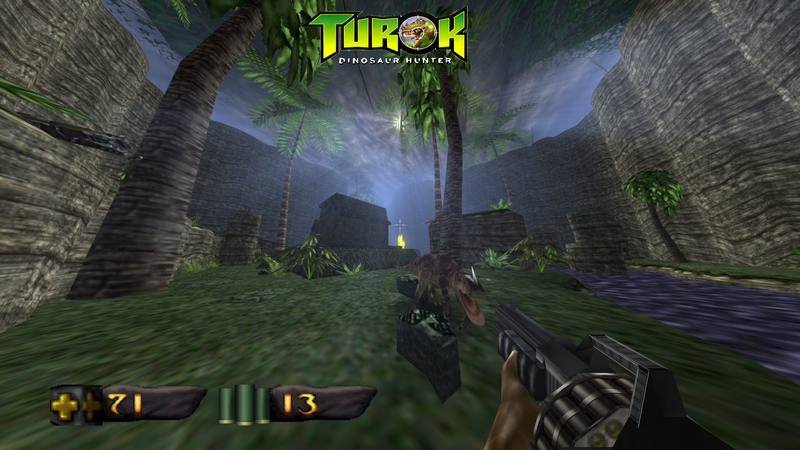 In 1997 Turok shook the world, Dinosaur Hunter quickly became one of the most recognized games of its time. 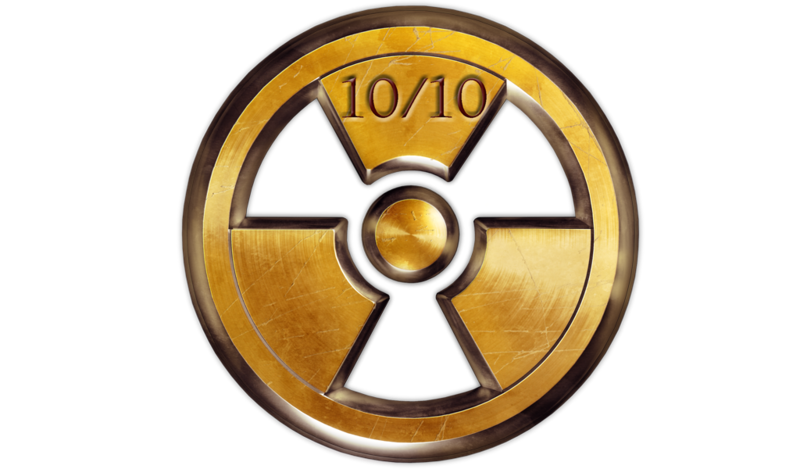 It had dinosaurs and a Doom/Duke Nukem motive towards its gameplay. But it surely wasn’t just a clone. 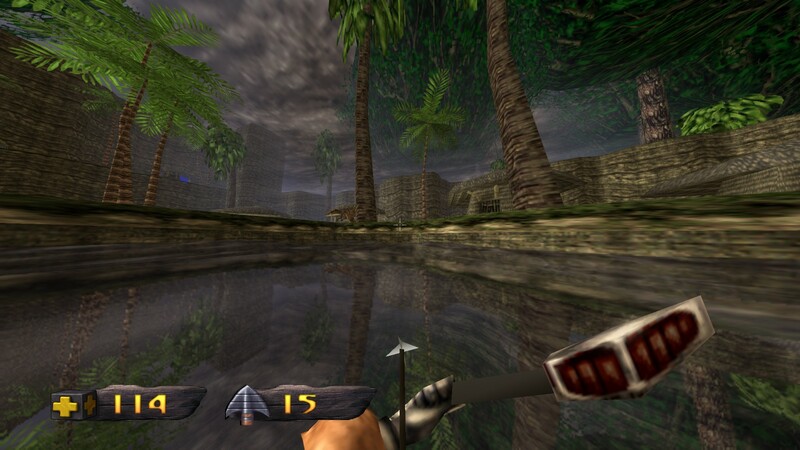 Turok really stuck out to me , there were some setbacks in the original release that have been preventing the game to really shine and last forever. It had 24-30 fps and an extreme amount of fog to prevent you from seeing to much details on the screen at once. 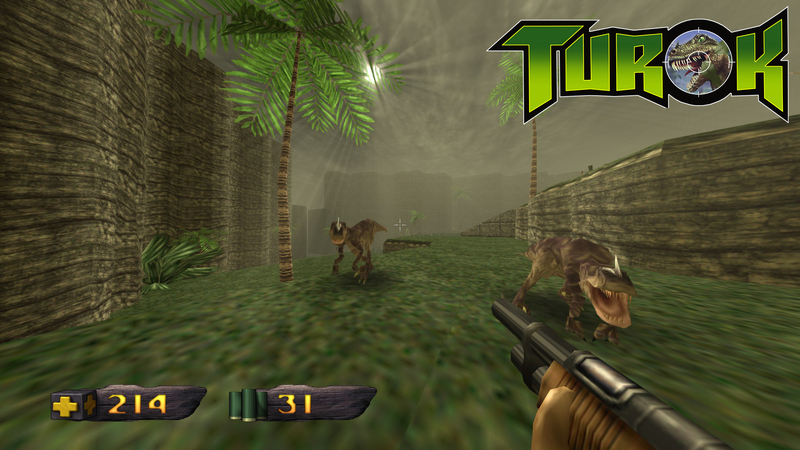 Now with Turok HD you can run the game at a steady 60 fps setting while also increasing the fov up to 120! These two settings together make for a great experience alone. Increasing the fov makes you able to see more, now combine that with the “Extended draw distance” option and it almost renders the fog limits into oblivion. This simply just makes the game much better and i’m astonished in its results. There is also quite a few additional options in the settings that can prove fun to poke with. For example a new weapon bobbing feature, water reflection, and sunlight scatter. The most intruiging one is the sun scatter which makes the game render sun rays and they shine beutifully through the tree branches and levels. This combined with the water reflection causes for some really beautiful scenery. This is not even close to a port that just got picked up and kicked off the cliff to release, so much love was poured into this one. It now feels like the game I knew it was, it always had the potential! Its not always possible to say a remaster is much better then the original but here the comparison isn’t even close. Whether you have played the original or not this game rocks and its a dream come true for myself. I prefer the likes of classic gameplay, graphics, and models this game just needed to be opened up. Now it is my favorite Turok game without a doubt. Turok was a locked treasure chest and Night Dives deep sea divers located, found, and unlocked it. If this released on N64 it would be the gold cart.